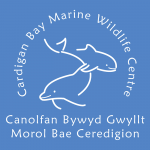 The Cardigan Bay Marine Wildlife Centre is based in New Quay, west Wales, UK and is the marine wing of the Wildlife Trust of South and West Wales. Since 1996 we have been dedicated to raising awareness of the local marine environment through education and research. Using boat-based and land-based surveys, photo-ID and acoustic studies we monitor bottlenose dolphin, harbour porpoise and Atlantic grey seal populations in the Cardigan Bay Special Area of Conservation (SAC) and wider Irish Sea. We also run a busy visitor centre as well as an education and activity room which offers marine educational and awareness raising activities for families, school and groups.